We have stayed at this park several times. The grounds are spotless, the sites are large and there are lots of trees. FHU, nice and quiet. The park is off the highway quite a ways so you don't have any street noise. We camped at Quiet Texas RV Park - Hondo in a Travel Trailer. Relaxing quiet park just south of Hondo. Family owned and operated; and they're just as nice as they can be. Nicely laid out park with ample space for our extra car. Glad we found them and will definitely stop again if in the area. We camped at Quiet Texas RV Park - Hondo in a Fifth Wheel. A beautiful hour drive to south San Antonio which was convenient for us to drive to the military installations. Just a few miles to shop in town or at Walmart. Very friendly and helpful owner. Campground is kept clean. It is pretty quiet, a little train noise but not too bad. Maintenance is out at 8am sharp with leaf blower though. We camped at Quiet Texas RV Park - Hondo in a Motorhome. Thank you for your kind comments about keeping our park clean. We respect the quiet time listed on our park rules of NO noise from 10:00 pm - 8:00 am. To keep the park clean and neat it is a full day job Mon-Fri to keep everything mowed, trimmed and clean. Our RV Park in D’Hanis is mowed but no daily leaf blower so if on vacation, and sleeping past 8:00 am - please check into our park 5 minutes west of Hondo in the town of D’Hanis. Thank You again to all guest for noticing how clean and neat we keep the Quiet Texas RV Park in Hondo. Would have been perfect but ironically, the maintenance guy was out all three mornings we stayed at EXACTLY 8AM with a leaf blower. Vacation / 8AM don't seem to go well. Otherwise, very clean and professional with great spots to park. We camped at Quiet Texas RV Park - Hondo in a Fifth Wheel. Visit Heavy's BBQ in town or go to the east edge of town and try a steak at Herman Brothers. There is a very very nice old school movie theater with first run recent movies in town. The managers run a very clean and professional park. During the hurricane, they was very busy but still took time to help us out with 2 popped rivets. All services were well-functioning. Water, sewer and electric worked great. The sites are very level and large. Great picnic tables and patios. We camped at Quiet Texas RV Park - Hondo in a Travel Trailer. Very clean Good Sam park with ample parking for guests and tow vehicle....great rock/paved roadways and driveways, get walking path throughout the park, with nice landscaping. Large patio pads with new tables. Very quiet park with large camping areas. Great relaxing place. Reasonable rate for Good Sam club members. We camped at Quiet Texas RV Park - Hondo in a Motorhome. This is a very sweet little park. Very quiet, as the name implies, with only 27 sites. Some are long-term but tidy. It is surrounded by corn fields, with the nearest highway at least a mile away. No railroad noise. The only "noise" is from the windmills, and they are not intrusive. The quiet, clean, and friendliness of the park makes up for the lack of amenities such as showers, pool, etc. They do have laundry facilities. The site was roomy, good length for our 40-ft fifth wheel, with parking next to the RV. The power hook-ups and sewer connections were good. We camped at Quiet Texas RV Park - Hondo in a Fifth Wheel. There are lots of song birds in the area, including scissor-tail flycatchers. We stayed here for 3 nights late January in a 36 foot fifth wheel. Our check in was quick and easy, very friendly owners they directed us to our site in their golf cart. We were given the option to pick the site that we liked best. The sites are spacious and clean with concrete picnic pads and tables. Water pressure is good, with a choice of 30 and 50 amp plug ins. There were many sites with trees. No trains or planes in the area, nice "Quiet" park. We camped at Quiet Texas RV Park - Hondo in a Fifth Wheel. Walmart, HEB and a nice downtown area. Rate reflects weekly rate. Very nice, small and quiet RV park south of town in Hondo. Owners are on the property and it shows. No junk or derelict units here. There are actually two Quiet Texas RV parks, one in Hondo and one is D'Hanis. This review is for the Hondo location. Water pressure was 65, electric was steady at 124. Sites are full hook up, gravel with a picnic table on a concrete pad. Sites are spaced well; you can sit outside without being right on top of the neighbor. There is a laundry room, we didn't use it but it was clean. The park actually has a staff, it is picked up and while we were there, leaves were blown everyday. Park might be a little tight for some very large (42+) rigs, but we found it easy to navigate with our 37 foot and toad. Other RV'ers staying in the park obeyed the speed limit for the most part, ...this is probably due to the owner on site and involved. Check in was efficient. Wi-fi worked very well. We would recommend this park to friends and would stay here again. We camped at Quiet Texas RV Park - Hondo in a Motorhome. Walmart in Hondo about 3 miles away, also a nice HEB. Plenty of good restaurants. Call this park before driving in, it does get busy especially on the weekends. Owner answers the phone himself and is pleasant and helpful. Great internet. Extremely well kept grounds. (The top of the last 10 we visited) Very helpful and friendly. AND it is Quiet. 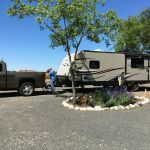 We camped at Quiet Texas RV Park - Hondo in a Fifth Wheel. This is the cleanest park we have ever been in. The grounds are kept immaculate as is the laundry facilities. We stayed here a week and then added a couple of nights using the PA rate of $20/night. This is a no frills park but is great if you are just wanting a place to relax. All utilities worked well, sites were level, satellite was no problem, AT&T cell coverage was good. Owner was very friendly. A lot of resident are permanent or long-term but sites are kept free of clutter. Most were unoccupied while we were there. We would definitely stay here again. 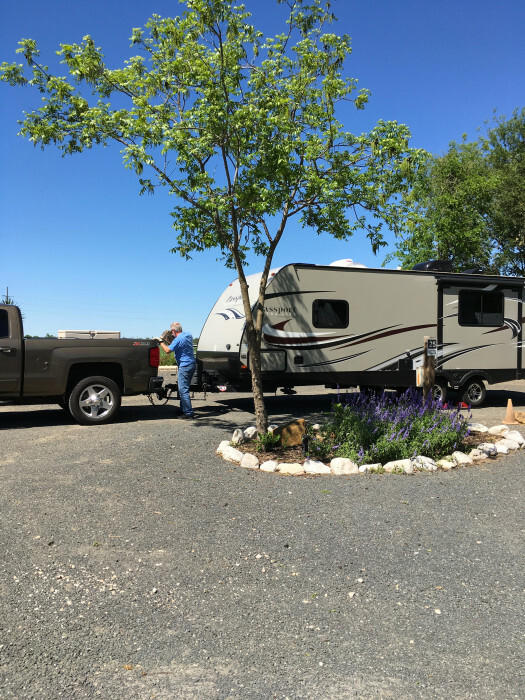 We camped at Quiet Texas RV Park - Hondo in a Fifth Wheel. San Antonio is about a 40 minute drive. Lots of restaurants in Hondo. Lots of geocaches in the area. Can't say enough good things about this park. Quiet, peaceful location in the country but close to Hondo. Laundry even had a flat screen tv for your use! Very, very clean. Level pull thru site. Rate is Passport America. We would definitely stay here again and plan for a longer stop on our travels. We camped at Quiet Texas RV Park - Hondo in a Motorhome. Super Wal Mart in Hondo. We have stayed here many times over the last 8 years. Always amazed at how the park improves with each visit. Managers are very nice friendly people always maintaining and updating the property. The parks landscaping is beautiful with gardens and lovely trees providing shade if visiting in the summer. Lots of good restaurants and shopping close by and about 30 minutes to San Antonio. We have always enjoyed each and every visit here. They have just opened a new park in D'Hanis, TX (5 miles west) to accommodate additional guests. We camped at Quiet Texas RV Park - Hondo in a Fifth Wheel. Excellent park and the name suits it well. Approximately 5 minutes from downtown Hondo and 40 minutes from San Antonio. Quiet country setting with the convenience of being close to town! Grounds are kept extremely well and owners are very friendly! Will stay there again if we are in the area! Rates were excellent also. Highly recommend...best RV park in Hondo, TX. We camped at Quiet Texas RV Park - Hondo in a Motorhome. The name of the park sure fits. It is very nice and quiet. The only reason I rated with 8 instead of 10 is that there are no restrooms or showers. We paid $12.50 a night for three nights which is the Passport America rate. The maximum PA nights is 3. Everything worked just as it should. The people in the park seemed friendly. We would probably stay here again if in the area. We camped at Quiet Texas RV Park - Hondo in a Motorhome. 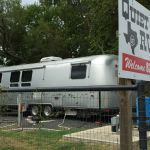 Are you affiliated with Quiet Texas RV Park - Hondo ?